In certain driving under the influence cases, the arresting officer will request a urine sample, rather than just submitting the driver to a breath test. When the driver takes the initial breath test and blows under the legal limit of 0.08, the officer can ask for more testing if he or she has reason to believe the person is in fact under the influence. When the arresting officer suspects that the impairment is caused by a chemical or controlled substance, a urine test may be used. The urine test results generally are considered to be far less accurate than blood tests in measuring chemicals or controlled substances in the body. Additionally, urine tests are not an accurate way of measuring alcohol in the system. Nevertheless, law enforcement agencies use urine test instead of blood test because they are generally easier to obtain and far less expensive. Chemical test results can have a huge impact on the criminal penalties of a DUI case. Often times, they are the strongest evidence used against the driver. If you have been charged with a DUI and a urine test was used, contact a skilled Tallahassee DUI defense attorney at Pumphrey Law. Your defense attorney may be able to effectively challenge the results of the urine test at trial, or have the evidence thrown out entirely. The attorneys at Pumphrey Law have years of experience representing clients in DUI urine test cases throughout Tallahassee and the surrounding areas, including Quincy, Crawfordville, Monticello, Woodville and Bristol. 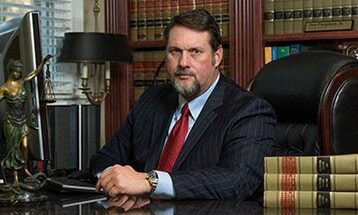 Call (850) 681-7777 to discuss how an attorney can help you fight the results of a urine chemical test. When is a Urine Test Requested After a DUI Arrest in Florida? Law enforcement officers will request a urine sample when the driver submits to a breath test and the reading is less than .08, the legal limit, or when there is probable cause to suspect the driver is impaired by chemicals or controlled substances. Before requesting a urine test, the officer should read the implied consent warning concerning a urine test. Refusing a urine sample, even after the driver has submitted a breath test, may constitute as a refusal to submit to a chemical test. In those cases, the officer often will complete an Affidavit of Refusal to Submit to Breath, Urine or Blood Test form. In other cases where narcotic impairment is suspected, if the agency has a certified Drug Recognition Expert (DRE) available, then a Drug Influence Evaluation may be completed. In those cases a urine test will be requested during the Drug Influence Evaluation. Law enforcement agencies in North Florida can make mistakes when administering the urine test. Proper urine testing requires the subject be allowed to completely empty the bladder and wait an additional 20 minutes before submitting the sample to be analyzed. Because urine tests involve looking at concentrations in water instead of blood, the result can be highly inflated. They often are less accurate than DUI blood tests. The concentration of alcohol in the urine sample is approximately 1.33 times the concentration of alcohol in the blood sample. Furthermore, the presence of drugs in the urine does little to provide information about when the drugs were consumed. Often, the results of the urine test are not relevant unless they can show, to a high degree of certainty, the presence of drugs in the urine sample proves the driver was under the influence of those drugs at the time of driving. The presence of drugs in the urine does not mean the driver was impaired at the time he or she was driving or in actual physical control of a vehicle. Furthermore, urine testing does not actually measure the presence of drugs, but only certain “metabolites” that would be expected to be present if the subject had injected drugs at some point prior to testing. Metabolites are inactive trace chemicals left over after the drug is broken down in the system. The most common controlled substances found in the urine include THC and prescription medications. Because marijuana is the most commonly used controlled substance in Florida, it is not surprising that marijuana metabolites, also known as THC, are the substances most commonly found during a urine test. The urine test is not an accurate or reliable way of determining whether the driver was under the influence of marijuana at the time when he or she was driving. Drivers still could face drugged driving charges. In many cases, marijuana metabolites can remain in the urine for several weeks after the last time marijuana was consumed. This means a person could test positive for traces of marijuana, but not be impaired. If you were subjected to a urine test after a DUI arrest, then contact an experienced attorney to discuss your defense. If your Tallahassee DUI charge involves the testing of a urine sample, contact a lawyer at Pumphrey Law. They are experienced in fighting to exclude any mention of the urine test at trial, and they will work to get the best results in your case. Call (850) 681-7777 to schedule a free case consultation.